Henry Fenton has handled a wide range of civil litigation matters in the areas of healthcare, labor and employment, antitrust and other areas of the law. He has won many important appellate decisions for physicians and other healthcare... Read More. R ichard Carroll attended Dartmouth College and received a B.A. in 1976. He graduated from Pepperdine Law School in 1984. Richard is one of the founding members of Carroll, Kelly, Trotter, Franzen & McKenna. After a short career trying criminal cases, Mr. Carroll... Read More. M ark V. Franzen, Esq. is a partner at the Long Beach office of Carroll, Kelly, Trotter, Franzen & McKenna. He graduated from University of California, Irvine in 1974 and from Pepperdine University School of Law in 1978. He has been a member of the California Bar... Read More. 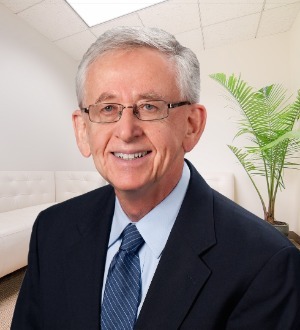 J ohn C. Kelly is a founding member of Carroll, Kelly, Trotter, Franzen & McKenna, a trial firm , established in 1994, specializing in the defense of personal injury claims. Prior to establishing the firm with his partners, Richard D. Carroll and Michael J.... Read More. M atthew N. Trotter is a partner in the Long Beach Office of Carroll, Kelly, Trotter, Franzen & McKenna. Mr. Trotter’s practice over the last 14 years has focused on professional liability defense, including representations of hospitals, medical groups,... Read More.